The symposium was organized by Maximilian Schich (Art Historian at BarabásiLab), and co-chaired by Roger Malina (Executive Editor at Leonardo journal) and Isabel Meirelles (Associate Professor at Dept. of Art + Design, Northeastern University). 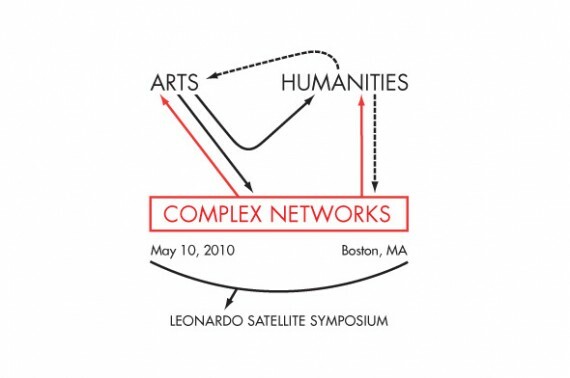 The Arts | Humanities | Complex Networks — a Leonardo satellite symposium at NetSci 2010 took place at Room 20, F West Village on Northeastern Campus courtesy of BarabásiLab — Center for Complex Network Research, Northeastern University in Boston, MA, on Monday, May 10, 2010. 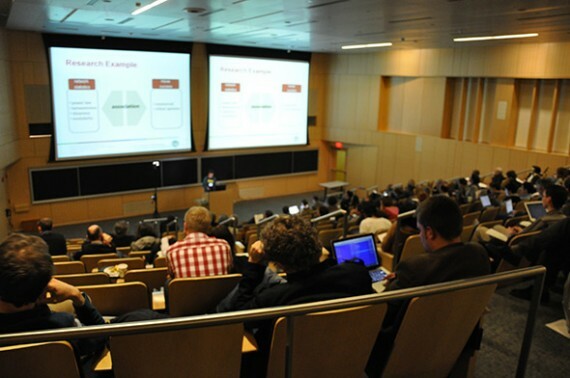 The symposium was a satellite to NetSci 2010 and counted with the support of the BarabásiLab – CCNR and Dept. of Art + Design, both at Northeastern University in Boston, and Leonardo/ISAST. 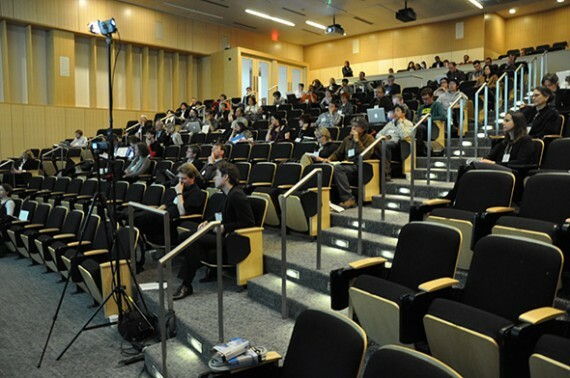 The symposium was made possible with generous funding from the College of Arts and Science, Northeastern University. Editorial by M. Schich, I.Meirelles and A.L. Barabási published in Leonardo, Volume 43, Number 3, June 2010, pp. 212, MIT Press. The 2010 papers will appear in a Special Section in Leonardo Journal (MIT Press). They are also available online via Leonardo Transactions. By means of keynotes, contributed talks and interdisciplinary discussion we explored and identified important issues surrounding the convergence of arts, humanities and complex networks. On the one hand we concentrated on network structure and dynamics in areas ranging from art history and archeology to music, film and image science. In the same time we were interested in the development and critique of network visualizations from medieval manuscripts to the latest tools, such as Cytoscape and Processing. Our dual focus was based on the opinion that the study of networks and the study of visualizations of these networks complement each other, much in the same way as archeology cannot live without self-reflective art history – studying the represented always presupposes the study of representation. 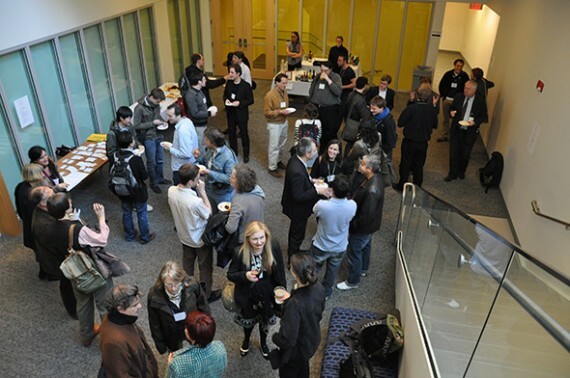 Bringing together network scientists and specialists from the arts and humanities we strived for a better understanding of networks and their visualizations, resulting in better images of networks, and a better use of these images. Running parallel to the NetSci2010 conference, the workshop did also provide a unique opportunity to mingle with leading researchers and practitioners of complex network science, potentially sparking fruitful collaborations. This entry was posted on Sunday, March 1st, 2009 at 4:23 am. It is filed under Xtra activities and tagged with symposium. You can follow any responses to this entry through the RSS 2.0 feed.